Welcome to the Wyre Archaeology website. Our name dates back several years but our interests are not confined to just the Wyre District but cover the whole of Wyre, the Fylde and beyond. The resources will include information on our digs, areas of interest, various maps (OS, Tithe, other), other primary documents (wills, inventories, letters, newspaper articles, etc,) some secondary sources (books/commentaries) and historic or aerial photographs. 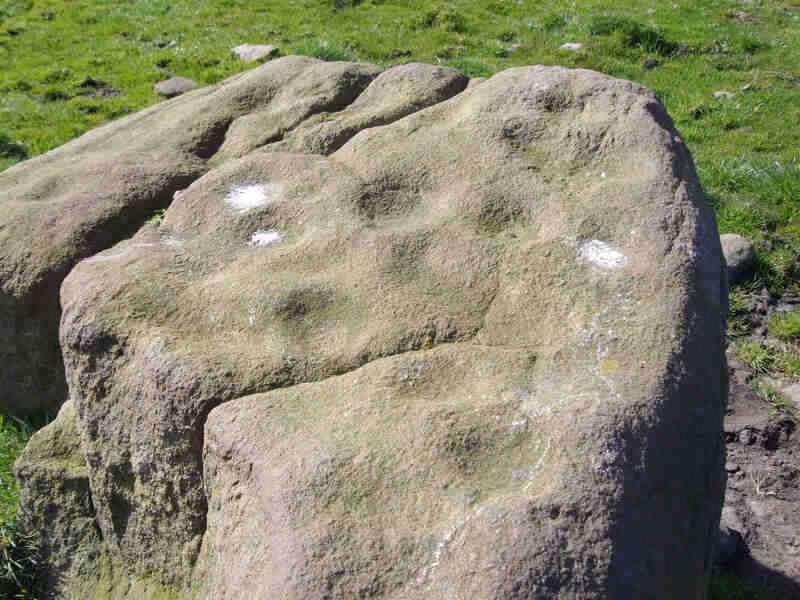 On the 6th April 2019, several members of the group met at Nicky Nook to investigate a possible cup and ring stone. On a beautiful day, with magnificent views of the Fylde, the stone and the surrounding area was investigated. It was found at the junction of a couple of ancient walls - which may, possibly, be investigated at a later date. More information will be reported at the next meeting. The find was reported to Lancashire Historic Environment Record only to find that it had already been reported & recorded. Following a request, more details and photographs have been added to our Kirkham dig from several years ago. This is now more important with the news that a housing development at Brook Farm, Dowbridge, has been given planning permission. The recent (2018) Dowbridge dig has uncovered a number of finds have been uncovered including a bronze age cup stone and the base of a Roman oven. It is understood that more investigations will take place in the summer of 2019.